Bayside is a Development Academy Member for US Soccer at the u12 boys level. Each year Bayside has a US Soccer u12 boys Development Academy team that trains year-round and competes regionally against other US Soccer Developmental Academy Clubs. The team is lead by a coach who at least holds a USSF National "B" License. Many of our u12 Academy players have moved on to have great success for Development Academy teams such as te New England Revolution at the u13 level and up. 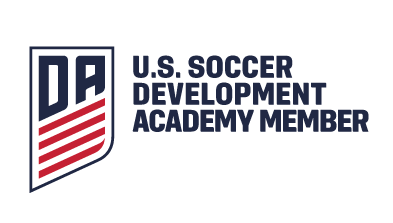 The US Soccer Development Academy is the highest tier of youth soccer in the United States. With 149 Development Academy Clubs in five age groups (u12, u13, u14, u15/u16, u17/18), the Academy provides top level training and competition for the best of the best in youth soccer. If you are interested in learning more about this program, contact info@baysidefc.com.